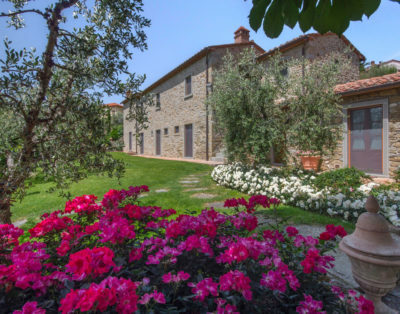 This Luxury villa, surrounded by a marvelous and impressive garden, has recently been restored with great attention to detail and respecting the Tuscan tradition. What a great location! 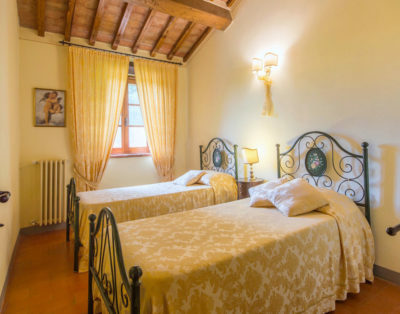 The villa is ideally located near the village and the services that offer at the same time absolute privacy and tranquility. 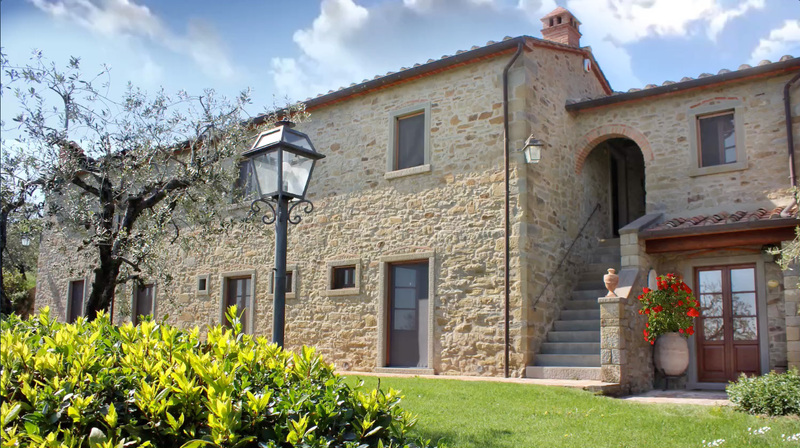 The villages are within walking distance and is located between Cortona and Camucia. 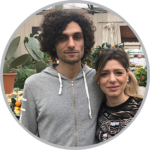 Restaurant at 300 m.
The location is ideal for visiting all the major Tuscan cities such as Siena (50 km) Florence 100 km, and other places of beauty such as Montepulciano 20 km, Assisi 20 km Todi 40 km, Rome 250 km. The medieval village of Cortona is famous all over the world for the Tuscan sun music festival and the truly fascinating setting of the main square. The villa offers complete privacy and tranquility with bright, comfortable and elegant interiors and beautiful gardens. Outside the charming garden there is a well-kept lawn and colorful displays of abundant varieties of flowers. A well-built pergola awaits you for al fresco dining. The panoramic swimming pool (5 x 10 m – depth 1.20 to 1.75), is about 40 m from the house. From the pool there are extraordinary views of the Cortona valley that extends to Lake Trasimeno. Inside elegant furnishings and a high level of comfort can be found everywhere including air conditioning and wireless internet access. 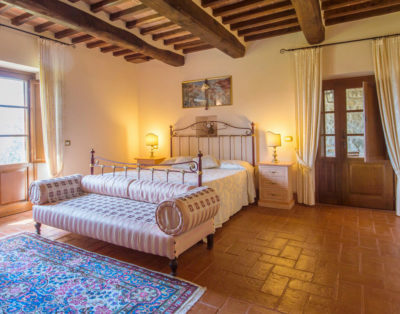 The Luxury villa is on 2 floors, both with independent access to the beautiful garden. Entering from the left side: entrance, large living area – from the living area in front of the second kitchen – from the living area to the left: access to the twin bedroom, luxurious bathroom with shower and large double bedroom (extra bed available on request) with private bathroom with shower. Entering the right side: large dining room with open kitchen (direct access to the garden) – from the dining room a hall leads to: double bedroom, twin bedroom – luxury bathroom with shower. Air conditioning in the living areas and 3 bedrooms. From the garden an external staircase leads to the first floor. The rooms are all equipped with air conditioning: a large double bedroom, 1 twin bedroom, 1 double bedroom, 2 bathrooms with shower; small kitchenette. Brothers, we manage the farm with passion since 2007, the year of the opening. 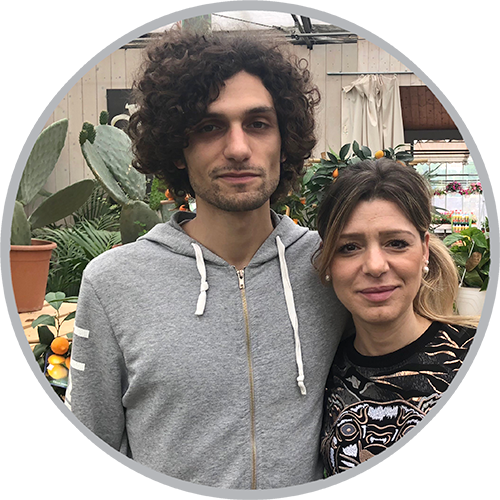 Born and raised in Tuscany, with a passion for greenery, we will welcome you at your check-in. 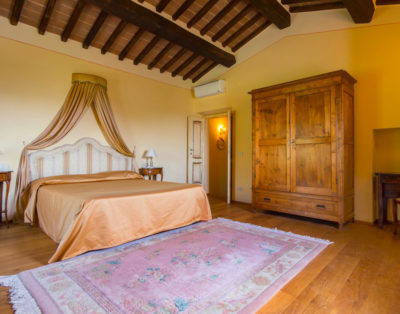 The agriturismo was born from an idea of ​​our parents, eager, like us, to share with the guests the wonder and quietness of a farmhouse at the foot of Cortona, overlooking the Val di Chiana. Come and enjoy Tuscan life pace and traditions!